NOVEMBER 2007 -- Congratulations on receiving all those awards at State Session. Every Grange should spread the good cheer to the residence of their community. This is the best time to inform those who are not members that we are a very active organization. Perhaps this may entice others to become members. Many years ago, I heard the Grange referred to as the best kept secret in the world. We are trying to abolish this definition. Each Grange should invite the general public to their open meetings or other special events. 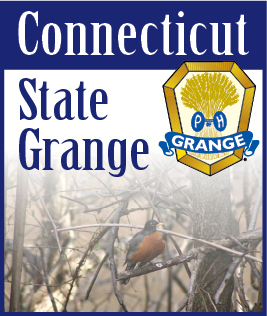 The Information/Publicity Committee of your Grange should submit press releases in your local newspapers or place paid advertisements for your open meetings or special events. The important thing to remember is to keep the name of your Grange in the minds of the general public as a Community Service Organization by advertising - advertising - advertising!